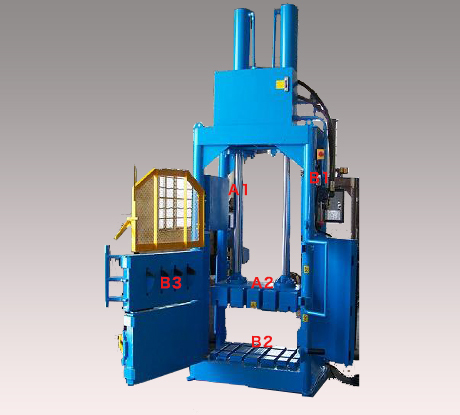 Type GBM Bailing Machine | Nippon Prog Co. Type GBM Bailing machine excels both in work efficiency and compression power. 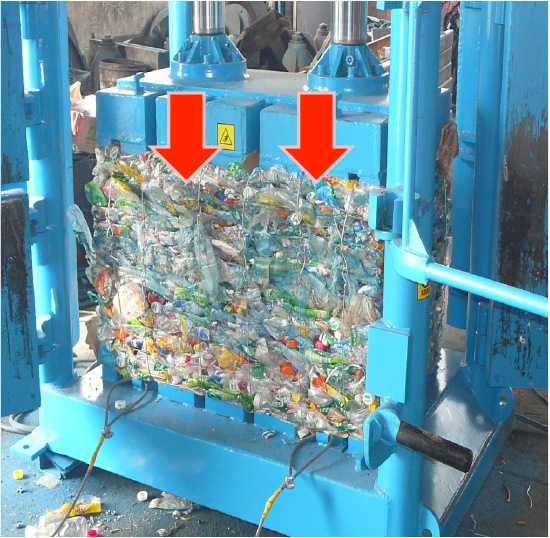 This machine's compression ability can be used for volume reduction and organization of various objects. Type GMB Bailer is equipped with a double cylinder while still being at a reasonable price. Efficiency is increased by applying equal amout of pressure on the pressblock. The load amount on one cylinder is also reduced, which leads to a longer operating life. By applying even pressure on the press block, the processing object’s volume can be reduced to a minimum with a high compression density.